Rome attorney W.B. Mebane asks for Berry's support in his quest to prevent the death penalty for an African American man named Jim Mikens. W. B. Mebane, “Letter from W.B. 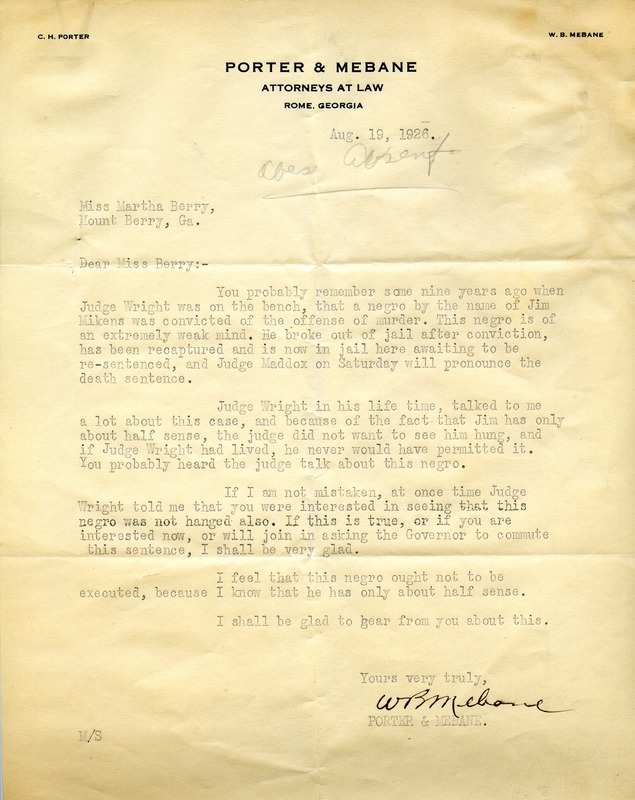 Mebane to Martha Berry.” Martha Berry Digital Archive. Eds. Schlitz, Stephanie A., Jordan Brannen, Chelsea Risley, Sherre Harrington, et al. Mount Berry: Berry College, 2012. accessed April 25, 2019, https://mbda.berry.edu/items/show/1413.